...: Microsoft's Jamie Wells on arriving fashionably late. 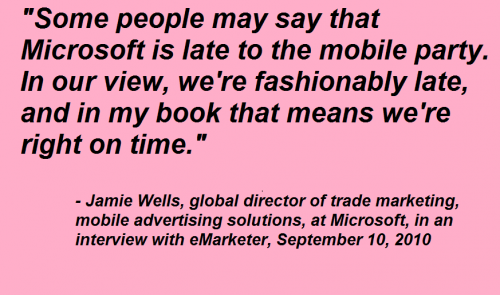 Microsoft's Jamie Wells on arriving fashionably late. This is funny for a variety of reasons, non of which I feel like spelling out right now.